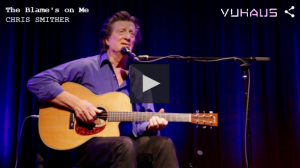 Recently, Chris performed at The Alberta Rose Theatre in Portland, Oregon Public Broadcasting filmed the show, and you can watch a few songs from the new album, Call Me Lucky, online. Thank you to the OPB team, and to Billy Conway for sharing the stage. 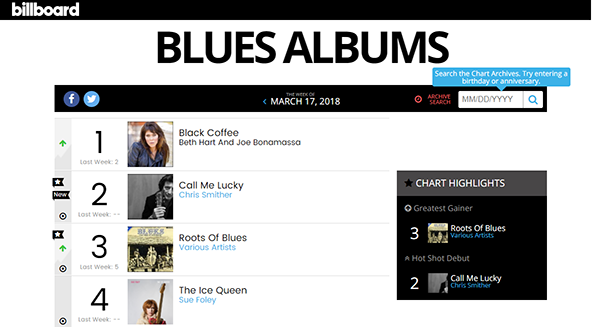 This week, Call Me Lucky, the brand new record, debuted at number 2 on the Billboard Blues Chart this week, getting it the title of this week’s Hot Shot Debut! It’s that time! 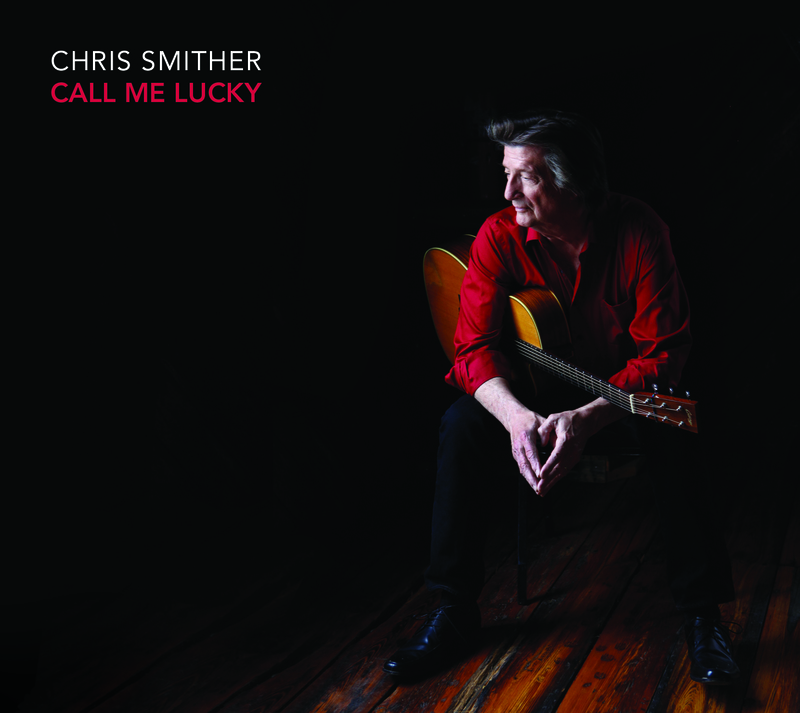 CALL ME LUCKY, the brand new Chris Smither record, is here! You can order a copy here on the website or, better still, go see Chris in concert and get one there. Big thanks to World Café and NPR for premiering Chris’ newest video, “The Blame’s On Me.” Take a look at this behind-the-scenes footage from Chris’ Blue Rock Studios session, while he was making his new record, CALL ME LUCKY (due in March). Many thanks to Billy, Sarah, Will, Jacob, Matt, Colin, Keith, Patrick, and Rusti of Blue Rock, and also Tom at Reelife Productions. 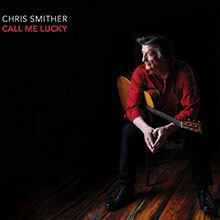 CALL ME LUCKY is the new record from Chris Smither and is his first set of brand new originals in six years (release date: March 2018 on Signature Sounds/Mighty Albert). Recorded at the gorgeous Blue Rock Studio in the Texas foothills. Packed with Smither trademark songs that offer commentary on the human condition with a wink of an eye and pulls from deep in the soul and a couple of surprise covers that remind us of Chris’ deftness as a song interpreter as he makes the songs his own. CALL ME LUCKY features longtime producer and multi instrumentalist David Goodrich, drummer Billy Conway (Morphine), Matt Lorenz (aka The Suitcase Junket), Mike Meadows, and engineer Keith Gary. They went into the session to record ten songs. What they ended up with is a double record: Disc 1 features the eight originals and two covers they started with; Disc 2 catapults some of the very same songs into another dimension. Essentially Smither covering Smither. Fans from around the world continue to fill concert halls, music clubs, and festivals ready for the Smither experience. 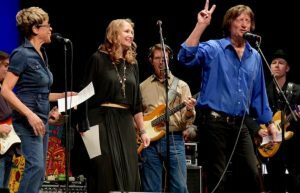 Reviewers including those from the Associated Press, NPR, Mojo, and The New York Times agree that Smither remains a significant songwriter and an electrifying guitarist — an American original — as he draws deeply from folk and blues, modern poets and philosophers. And with CALL ME LUCKY he keeps doing just that. 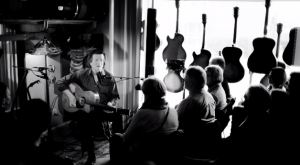 Check it out: we’ve added some terrific new live performances to the Videos page.